Baghdadi wife arrested? ISIS leader's family members reportedly detained. 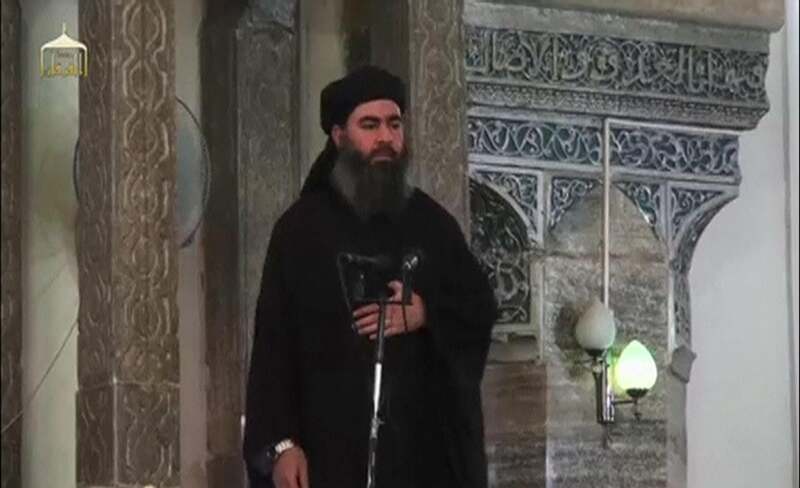 From a video that is believed to depict al-Baghdadi at a mosque in Mosul, Iraq, in his only known public appearance. The woman was identified as Saja al-Dulaimi, an Iraqi, by a Lebanese security official and a senior political source. Al-Baghdadi is a mysterious figure; he’s thought to be around 43 years old, to have been born in Iraq, and to have been held in U.S. custody in that country for a period of somewhere between eight months and four years. Reports differ as to whether he has two or three wives. ISIS has declared al-Baghdadi the ruler of all Muslims everywhere.